Located in a quiet street and only a 100 metre stroll from the Woolamai bay beach, this stunning property is a hidden oasis with huge features. The home is spread over three levels ensuring plenty of space for the entire family. The lower level features three bedrooms, each with built in robes, an office/4th bedroom, family bathroom, and spacious open plan living / dining / kitchen with cathedral ceilings. The kitchen is spacious with freestanding inverter cooktop, stainless steel appliances and self-closing drawers. The dining area extends through bi fold doors onto a fantastic alfresco area which adjoins the solar heated saltwater plunge pool with cabana. 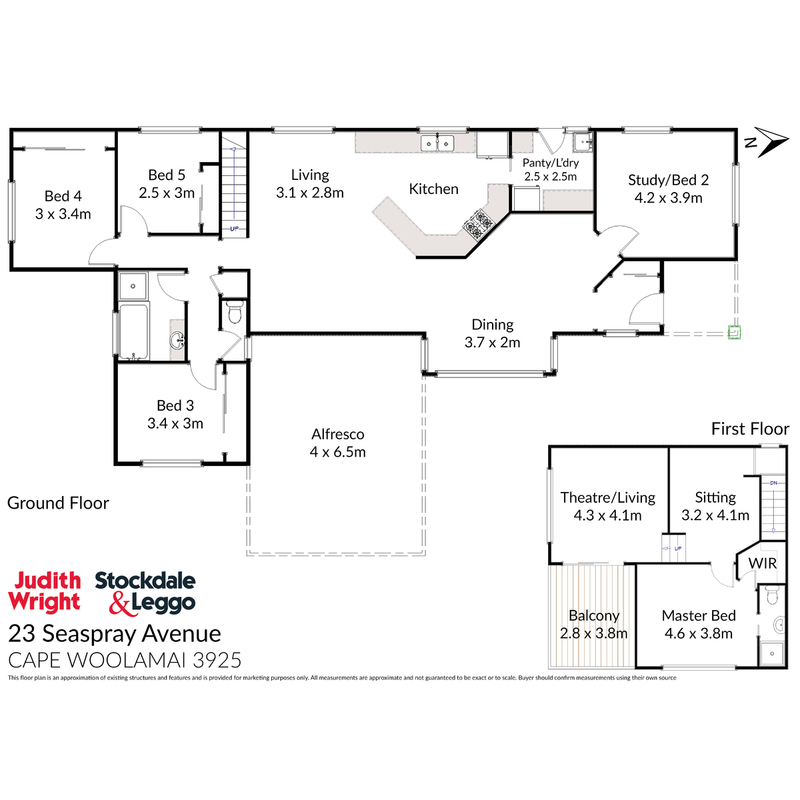 The split upper level features a sitting room and master bedroom with en-suite and walk in robe, and then up an additional small staircase to the theatre/living room with inbuilt speaker system and access to an upper level balcony with views over the bay. Entry to the property is via secure motorised gates into the lush front garden and double carport, while the rear yard features quirky brick and timber pathways through a lavish and varied garden setting. A small garden shed is nestled in the back corner of the property adjacent to the vegetable garden. Fantastically presented, this home is in a highly desirable location. Arrange your private inspection without delay.